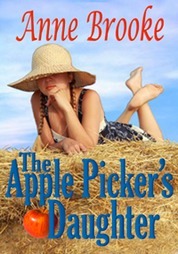 A novel of childhood, The Apple Picker's Daughter, is published by Anne Brooke Books. 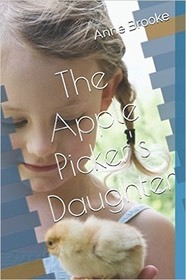 Born in the 1960s on a UK apple farm, Clare Rivers is a girl out of time, living in a family and a world that makes little sense to her. Determined to carve out her place somehow, and with her deep love of her father to see her through, Clare begins a unique journey to discover the reasons for her own existence. If she can. However, accompanied by the oddities of family, school and the strange lyrical life of the apples, can Clare really find a place within herself to call home? This novel will appeal to lovers of rural life, recent history and a child's quirky but clear-sighted view of the adult world.